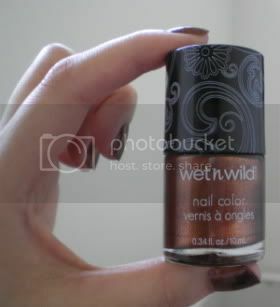 So I grabbed a bottle of wet n wild. This is from the Craze collection. I never had much respect for the brand, but the bottle was cute and I love the colour. Seriously, look at it. It's short and round. Adorable. I really love the rich bronze colour. 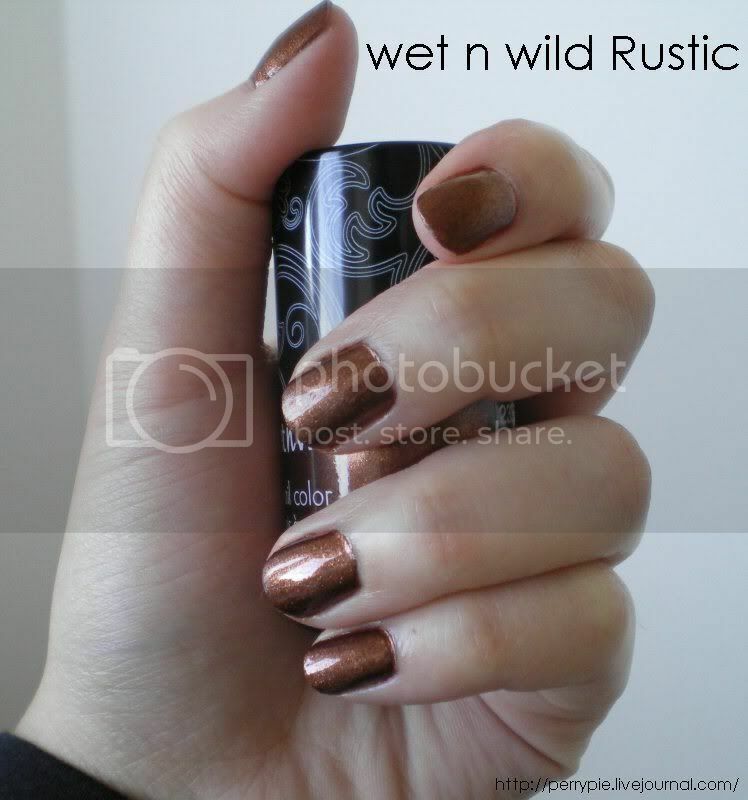 Looks like bronze shimmer in brown polish. Great dimension. A fantastic colour for fall, I think. The polish went on nice and smooth. This is two coats with base and top coat. All in all, I love this polish. It has changed my mind on affordable polish. The only issue I had with it was the fact that from the top of the lid to the tip of the brush, it's short. Like, really short. The large lid coupled with the short brush made application a little bit of a pain. Not a huge deal, just something that I noticed.